There is a deep relation between statistical mechanics (stat mech) and machine learning (ML). From Exponential Families to Maximum Entropy to Deep Learning, stat mech is all over ML. Here, we are interested in distinguishing between causality and correlation, and the hope is we can learn from stat mech how to do this. We are motivated by a recent neuroscience paper  that suggests a new approach to Granger Causality via non-equilibirum statistical mechanics, specifically the Mori-Zwanzig Projection Operator formalism (see , my favorite reference, or just Google it). Also, very recent results  demonstrate that one can apply the Mori-Zwanzig formalism to a set of coupled stochastic variables like we see in Granger Causality and other time series models. What is causality? Let’s pose it as a problem in time series analysis. Say we want to describe the dynamics of a system where one set of variables dominate, but are driven, seemingly stochastically, by some other set of variables . For example, might represent a particle floating in a viscous fluid . As the particle moves, the fluid relaxes around it, leaving a slowly decaying trail. So even though the particle appears to move randomly, its position at time depends on both it’s entire history and the history of the local surroundings . The more viscous, or stiff, the fluid is, the more the surroundings matter. When can we say that causes ? The challenge in statistical mechanics is to decide when the particle is just random (i.e. 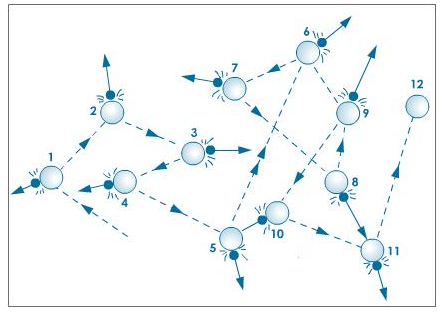 a Brownian motion) and when the fluid is strongly affecting (i.e causing) a part of the dynamics. To get started, we need a some basic physics. 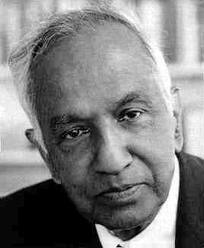 There is a classic review of Stochastic Problems in Astronomy and Physics  by the late Subrahmanyan Chandrasekhar, Nobel Laureate (Physics, 1983) and former head of the department of physics when I was a student at the University of Chicago. I am a firm believer that every scientist should study and know the great works of the Nobel Laureates, so I strongly encourage the reader to dig deep  on their own–or to at least continue reading. When our particle is behaving randomly, and does not remember its history, we say it is undergoing a Random Walk. This is also known as Brownian Motion. Below we plot the path of several 1-D random walks over time. Notice that they all start at (0,0), but, over time, eventually diverge from each other. where is the mass, is a friction coefficient, and represents the noise, interpreted as a random force. This correlation function is dot product in a Hilbert space; in fact it is a Kernel. where is Boltzman’s constant, and is the temperature. This means that if the velocities are weakly correlated (over time), the surroundings drag on the particle, and it diffuses slower. On the other hand, when the velocities are strongly correlated, the particle does not feel the surroundings, and it diffuses faster. which is clearly not satisified. On long timescales, the Langevin equation describes a mathematical Brownian motion, but on small timescales, the Langevin equation includes inertial effects that are not present in the Brownian description. These inertial affects can be very real, as shown above in the image of the pollen in the viscous fluid, and are corrected for below. Also, we are considering systems that actually have velocities–this is important since we don’t usually think of pure stochastic processes, such as economic or financial time series, as having a well defined or instantaneous velocity. <The fluctuation-dissipation theorem is a general result of statistical mechanics that quantifies the relation between the fluctuations in a system at equilibrium and its response to external perturbations. Basic examples include Brownian motion and Johnson–Nyqvist noise, but this phenomena also arise in non-equilibrium systems, and, perhaps, even in the neocortex. Here, the same random forces that cause the erratic motion of a particle also causes drag. If something pulls the particle through the fluid, it feels this drag. The particle’s random motions and dissipative frictional forces have the same origin, or cause. More generally, we can observe any external action that “causes” to move by inferring the ‘equilibrium’ distribution, and computing the appropriate correlation function of the random forces; this is our link to causality. What does this have to do with Machine Learning? Notice I said infer. For a general system, we will infer the so-called ‘equilibrium’ , or most likely, (Boltzman) distribution, using a variational method. Then we can directly evaluate the correlation functions (which are the partial derivatives of our calculated partition function). But first, we need a more robust Langevin equation to work with. where is called the memory Kernel. A typical application of the GLE in chemical physics to extend Brownian to describe the dynamics of a particle in a viscoelastic fluid (a fluid that is both thick and deformable); the memory Kernel gives rise to a generalized frictional force. I would like to apply the GLE to problems in general machine learning. It would be necessary tointroduce a more abstract form of the GLE. We will then derive this GLE using the Mori-Zwanzig Projection Operator formalism from statistical mechanics.